I would like to express my gratitude for all the help you have given us in negotiating the property tax reduction with the city (Township of Canton). The detailed property analysis and price comparison you have provided prove to be very fruitful. Thanks to you, we reduced our property tax by half. 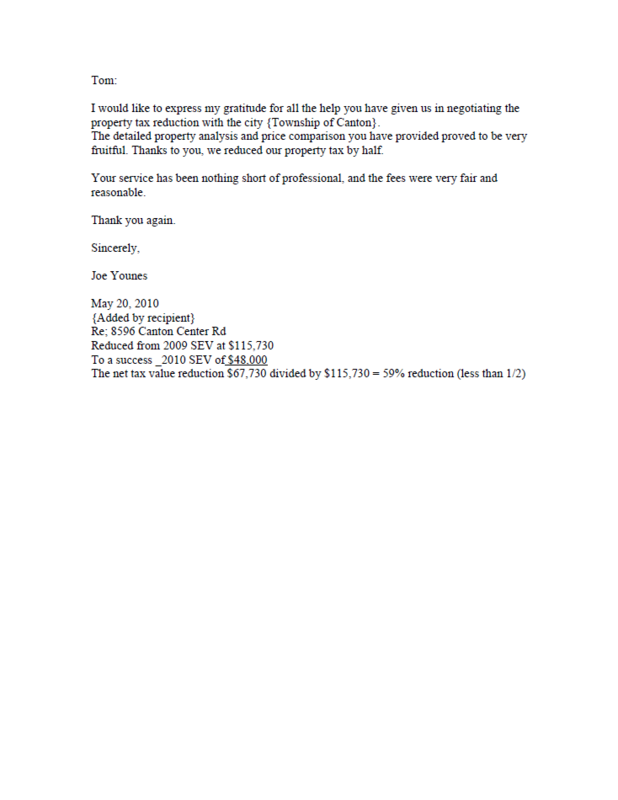 Your service has been nothing short of professional, and the fees were very fair and reasonable.